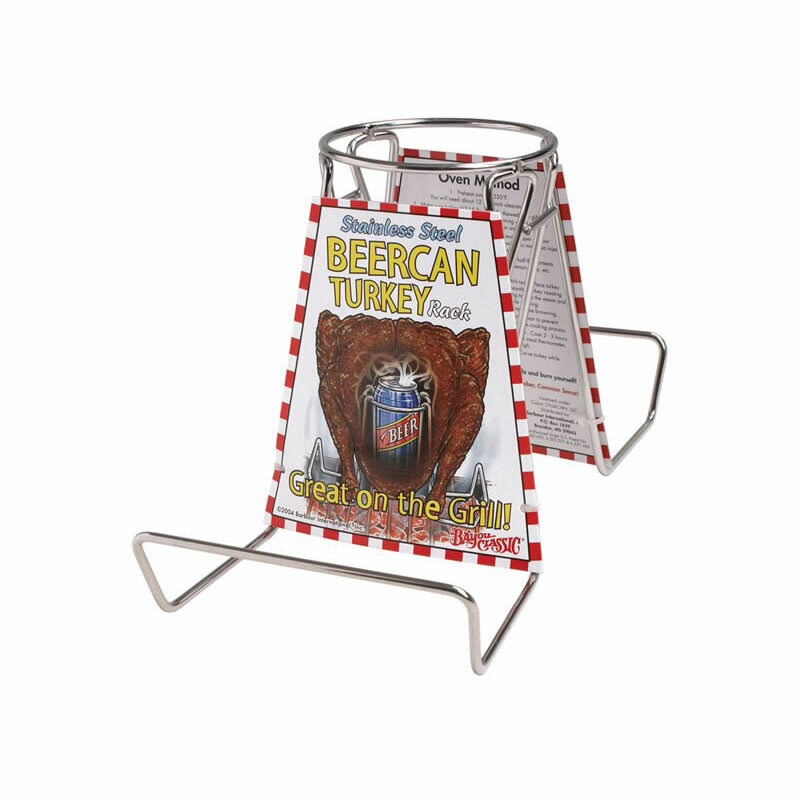 This clever stainless-steel rack from Bayou Classic lets you cook a turkey via the beer can method with less worry about the can spilling or getting knocked over. A 12-oz. 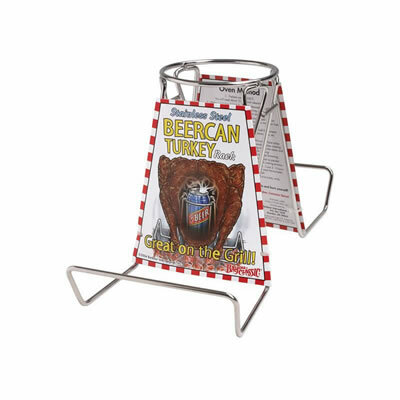 can of beer or soda fits securely in the stand's center (which protrudes into the bird's cavity), while two side flanges provide support for any turkey up to 15 pounds in weight. The turkey can be cooked on this rack in a variety of ways: through indirect heat on a charcoal or gas grill (with at least 12 inches of height clearance), inside an oven, or in a turkey smoker. 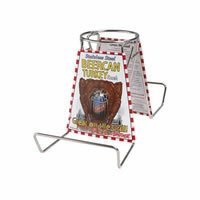 The Stainless Steel Beer Can Turkey Rack is reusable and dishwasher-safe! 11' x 5" x 6"